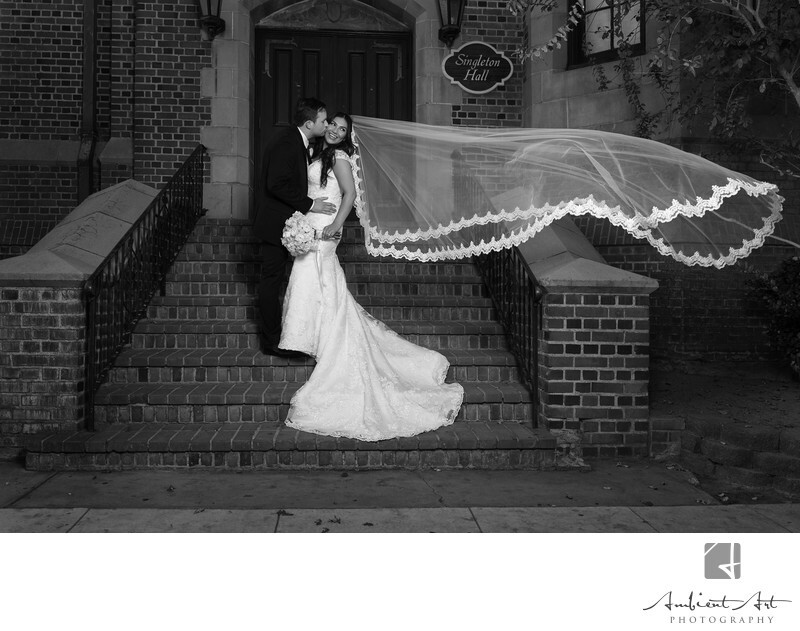 Noemi's veil blows in the wind after their amazing wedding at St John's Cathedral in Fresno, CA. Location: 2814 Mariposa St, Fresno, CA 93721. Keywords: and Micheal's (3), at (3), Fresno (6), Noemi (3), Photography (6), St John's Cathedral (3), Wedding (15).